AmpCity UK has announced that it is bringing Unique Melody custom-fit earphones to the UK, complete with audiologists who will take a perfect impression of your ear. The idea of custom-fit earphones is still fairly new in the UK, with only a handful of companies – including Etymotic – offering such a thing. So when another one comes along, it's definitely worth shouting about. There are two ways you can get custom-fit earphones from Unique Melody. The first is to buy one of its three model ranges. The second is to send in a pair of in-ear 'monitors' you may already have and the company will re-shell them with your very own ear-print. The three models on offer are the Aero (which has three drivers per ear), Mage (four drivers per ear) and Miracle (which house a whopping six drivers per ear). The prices are definitely premium, starting from £495 and ending at a heady £795 - but to sweeten this bitter pill you do get to choose from a massive range of colours. 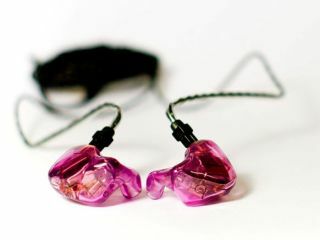 The premium price is due, according to Unique Melody, to the frequency response of its earphones, which are "tuned specifically for that particular ear shape". So if even if you have lugs like Rooney, Unique Melody will still pipe through sweet music just for you. If you fancy kitting your ears out, then the Unique Melody range is available now. Go to www.uniquemelody.co.uk for more details.